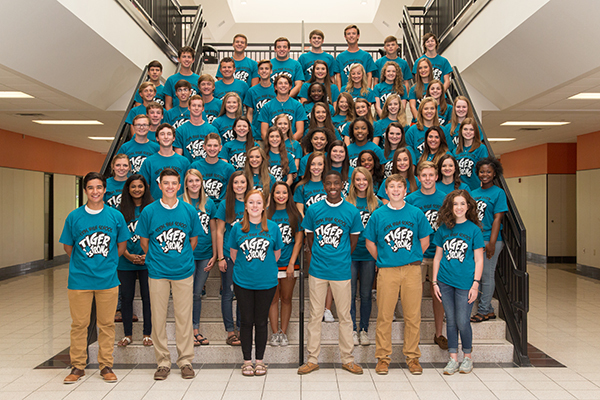 Texarkana, TX – Texas High School Student Council recently received national and state recognition for their outstanding achievements in leadership, service and activities that serve to improve the school and community. At the national level, THS Student Council was awarded the National Gold Council of Excellence Award by the National Association of Student Councils (NASC). They are one of 37 high schools in Texas to receive this award and are one of only two high schools in the state to win the award for nine consecutive years. Outstanding Energy & Environment – Tucker Douglass, Chair. Ricky Cooks, THS senior, was one of five students awarded a Texas Association of Student Councils District 19 scholarship. Cooks plans to attend the University of Texas at Austin in the fall. Scholarships were awarded based on academic achievement, personal leadership skills and TASC participation at the local, district and state level. He is the son of Sharon and Ricky Cooks, Sr. and has over 1,000 personal volunteer hours for his high school career. Top 10 Video Award for a student-produced video from Texas High School’s TigerVision program on the annual STUCO Dinner Theatre program. THS Student Council was elected 2017-2018 Conference Coordinator. Claire Doan, THS Student Representative and Susan Waldrep, Advisor, will represent THS on the TASC Board of Directors and be part of all planning for next year’s annual meeting. Advisors for Texas High School Student Council are Susan Waldrep and Debbie Nicholas.